Losing weight and the increasing incidences of rapid weight gains and obesity due to lifestyle habits, means watching your weight is essential. Losing weight is a tough journey that some people must face. That is not to say that it is impossible, because there are many programs available to assist individuals in this journey. Losing weight requires 100 percent commitment and focus. You must prepare a plan and stick to it until the end if you want to achieve your goals. 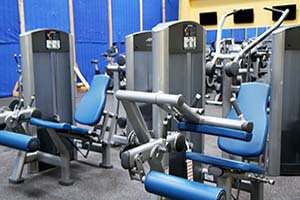 Most programs that aim to help in losing weight involve physical workouts. These kinds of exercises can be a beginner, intermediate, or advanced level depending on how much one’s body can take. A specialized diet also must go together with the workout program. Otherwise, the journey to losing weight would be in vain. For the best results within the shortest time possible, discipline is critical for anyone planning on losing weight. Here are some effective weight loss exercises. You can begin with jumping jacks but start from a rog jump position. Hit three sets each with 10 repetitions. Stand straight and then bend over with your left hand outstretched diagonally and touch your right foot without bending your knees. The other hand should not hang but stay on your hip. Take 10 repetitions and then switch hands and do the same. Go on for three sets. Go down in a plank position and then stretch out your legs outward. Begin by bringing in a knee into an opposite shoulder. Keep switching legs for 40 seconds. Do this in three sets. Adjust the length of the rope accordingly and ensure that it is comfortable in your hands. Keep your feet together and elbows inward against your body. Jump as you swing the rope over your feet. Ensure the feet stay together to avoid tripping over the rope. Take three sets each lasting for one minute. Squats are another set of exercises that are ideal for losing weight. Perfect execution of these exercises works your lower body and the core at the same time. Spread your feet apart while holding equal weights in each hand. Lower your body while raising the weights with your hands straight at the front. 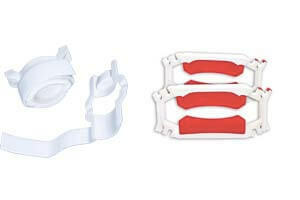 Go down until your thighs become parallel to the ground while maintaining a straight back. Get back to a standing position at the same pace and perform 15 reps per set for three sets. Losing weight requires explosive exercises, such as burpees. These exercises work on three different areas of the body at the same time: legs, chest, and the core. It burns lots of calories and helps in developing lean muscle. With your feet apart, go down into a squat. Touch the floor and shift your weight onto your hands. Jump back onto your feet to get into a plank position. Throw your feet forward outside your hands. Stretch your hand up and jump up. After jumping, you will fall back into the original squatting position. Repeat the steps 10 times for three sets. These four workout routines are good for losing weight, especially if done together. There are other similar exercises for losing weight that you can also add to these, such as lunges and explosive lunges. Drinking lots of water daily and eating the right kinds of foods are equally important in any journey towards losing weight. Any mistake regarding diet will only work to reverse the weight loss process. 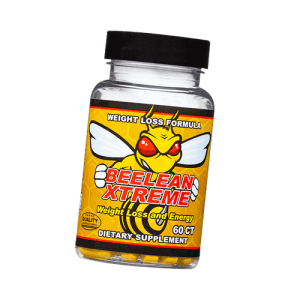 Some supplements, like Beelean Xtreme, can help in losing weight. This supplement works by inhibiting fat storage and activating enzymes that release the fat from the body. A combination of these three aspects will go a long way in anybody’s weight loss journey.